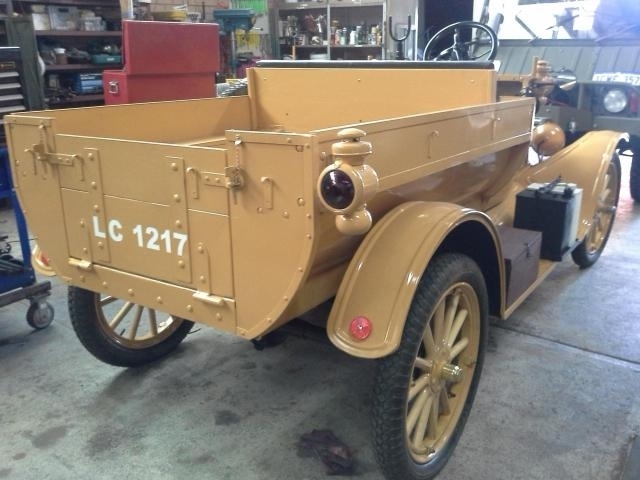 The Ford Model T (colloquially known as the Tin Lizzie, Tin Lizzy, T Model Ford, Model T Ford, or T) is an automobile that was produced by Henry Ford's Ford Motor Company from October 1, 1908, to May 27, 1927. 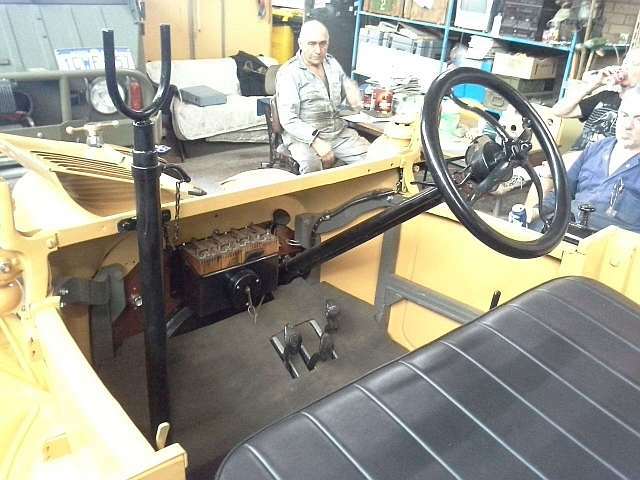 It is generally regarded as the first affordable automobile, the car that opened travel to the common middle-class American; some of this was because of Ford's efficient fabrication, including assembly line production instead of individual hand crafting. 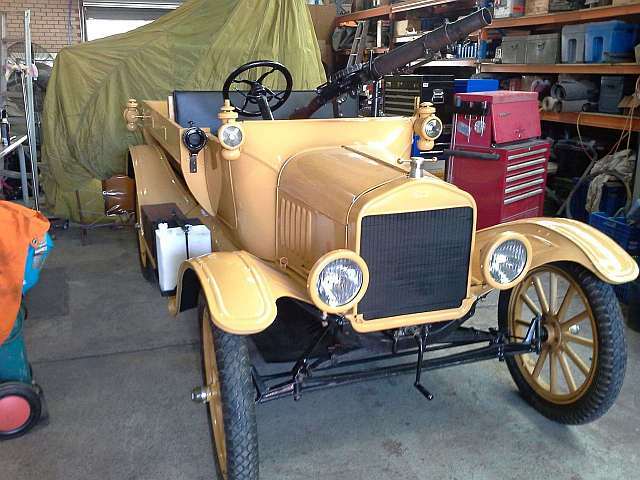 The Ford Model T was named the world's most influential car of the 20th century in an international poll. 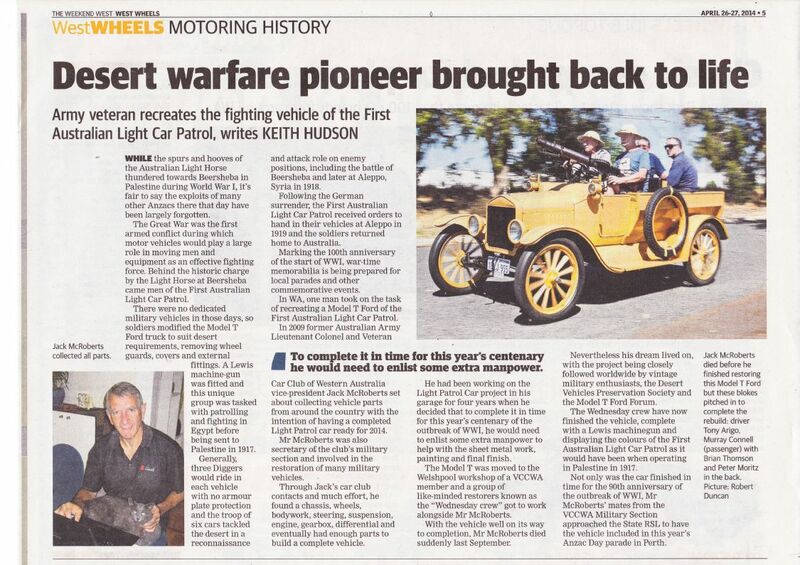 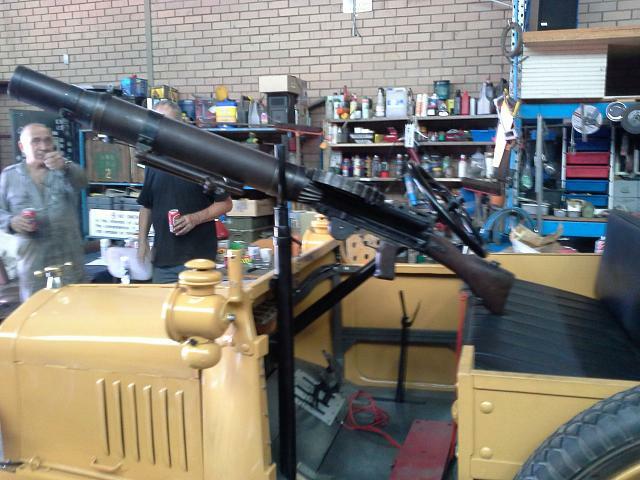 (AWM B00054) One of the new 1917 Model Ts issued to the 1st Australian Light Car Patrol. 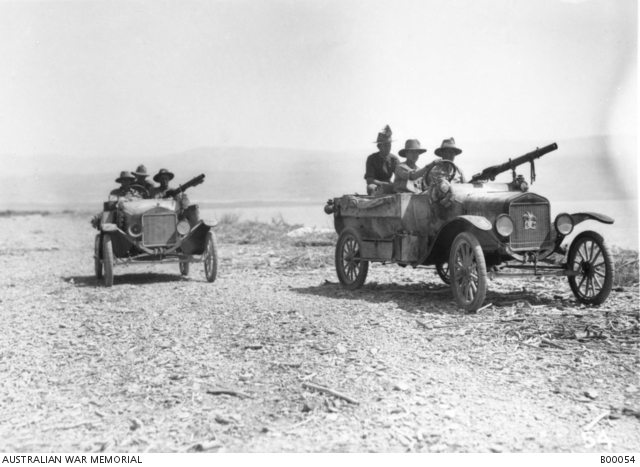 The vehicle had a crew of three, with the Lewis mounted forward. 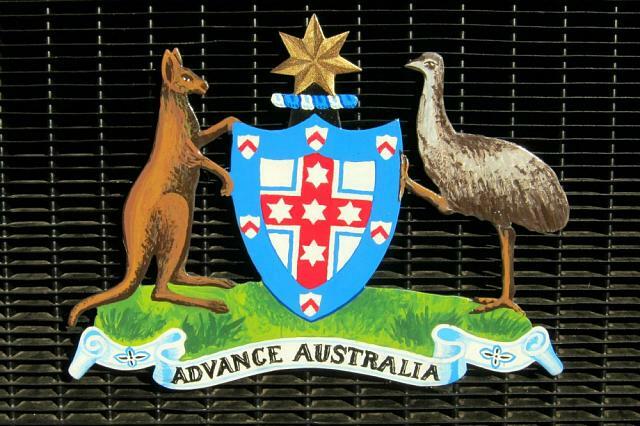 The badge on the radiator, is of the Australian Coat of Arms incorporating a centralised palm tree. 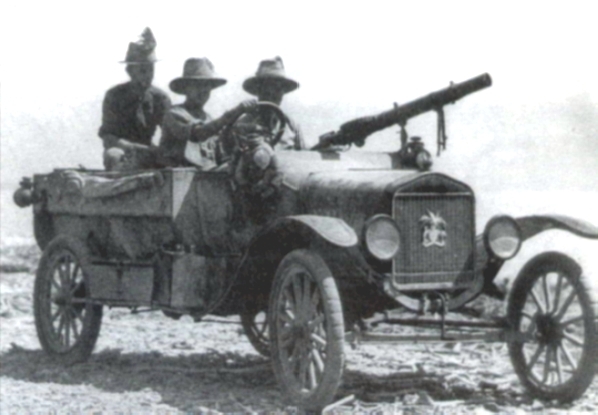 This same vehicle and badge is also seen in another photo with the remaining cars of the 1st LCP, outside the Aleppo Railway Station (see AWM B00707). 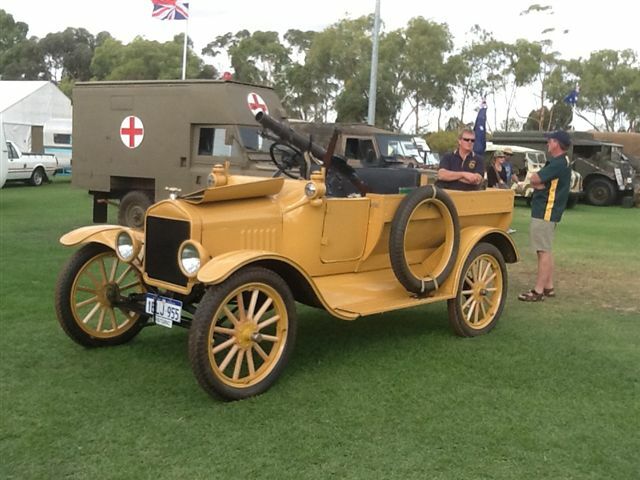 The vehicle in the original WW1 photo sports a crest. 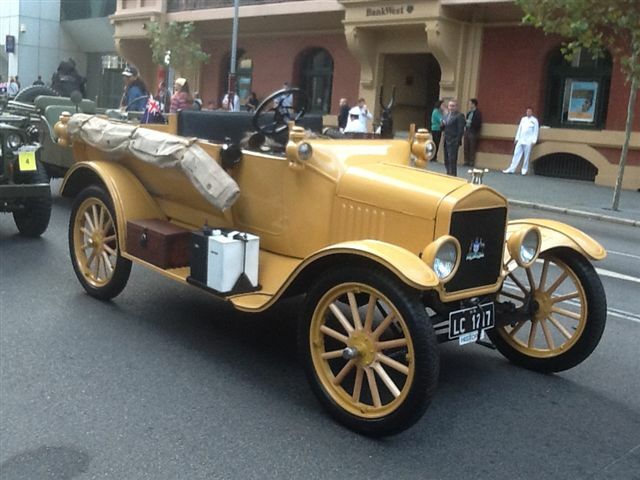 It is the 1908 Australian Crest with Australian Light Horse emu feather plumes tucked in it. 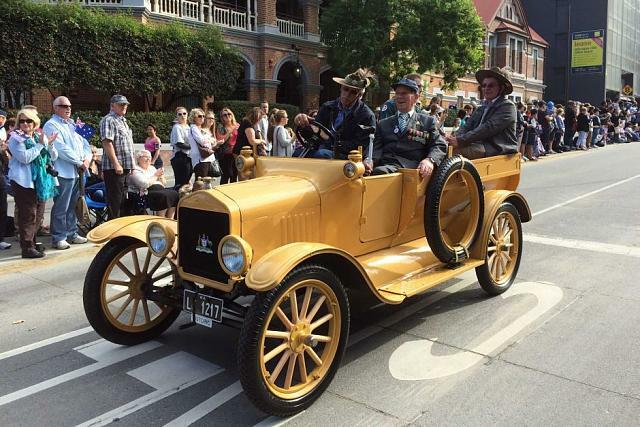 Jack’s son David produced this beautiful example as a tribute to his Dad. 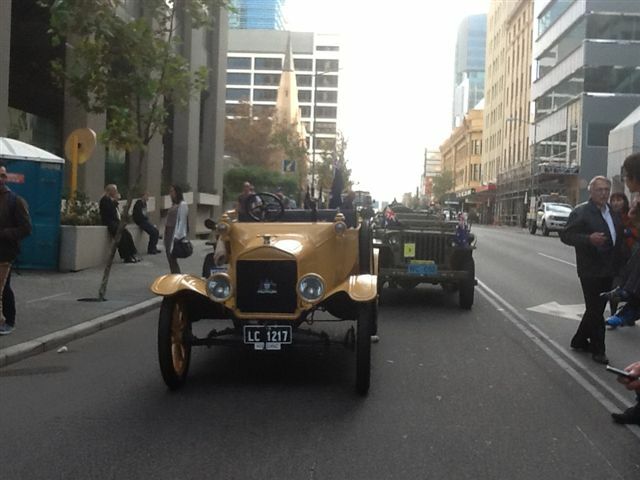 The T on it’s first major outing the Perth ANZAC Day 2014 (Veteran’s) Parade with a WW2 veteran in the front.